We will match any color of stone or brick. We offer free estimates, free consultation, and free advice. Remember if you request a quote, we will need you to text or email a picture of the mailbox and house as well. 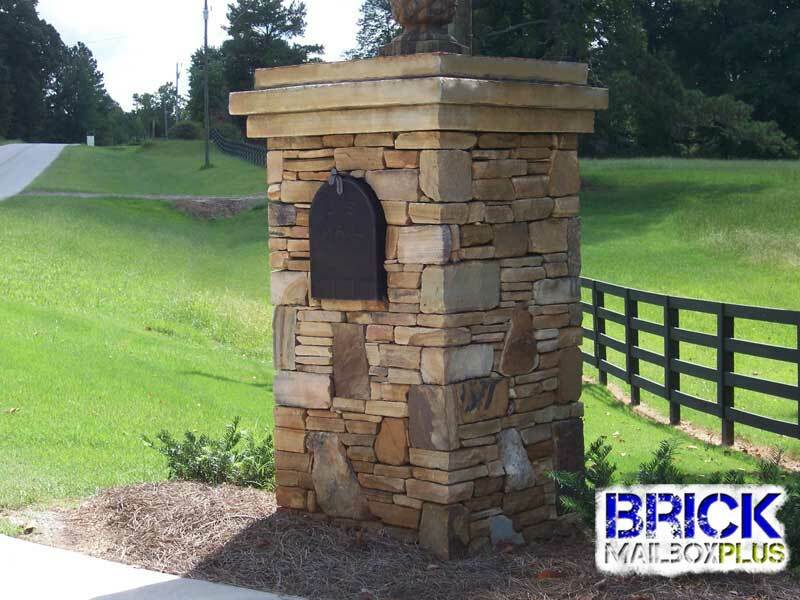 Natural Stone Mailbox Columns are made from 100% real, timeless, hand-crafted stone. No stamped concrete, cultured or fake stones. 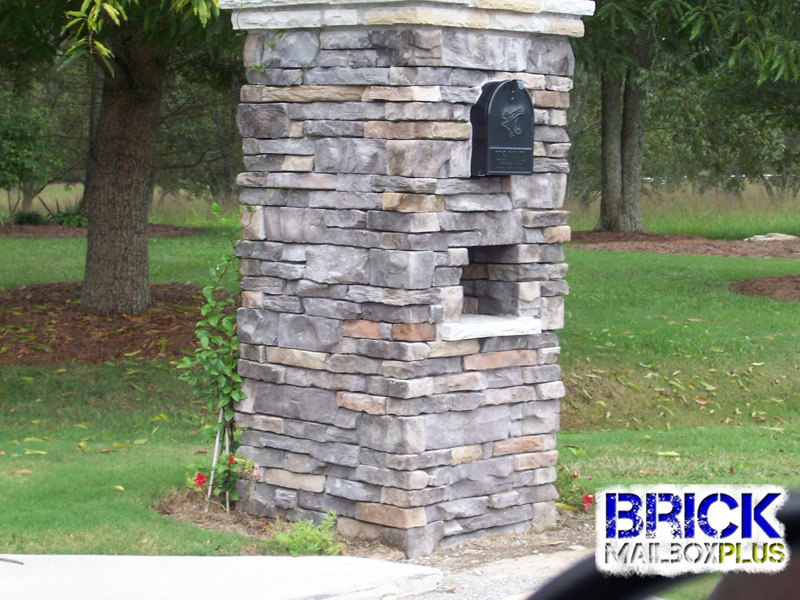 You have a choice of layers of capstone, one layer or double layer stone mailboxes. We charge $40 more for large mailbox inserts, $80 more for jumbo mailbox inserts, and $150 more for security mailbox inserts. Cultured Stone has far more colors and styles to choose from over natural stone. It is durable and more affordable than natural stone. 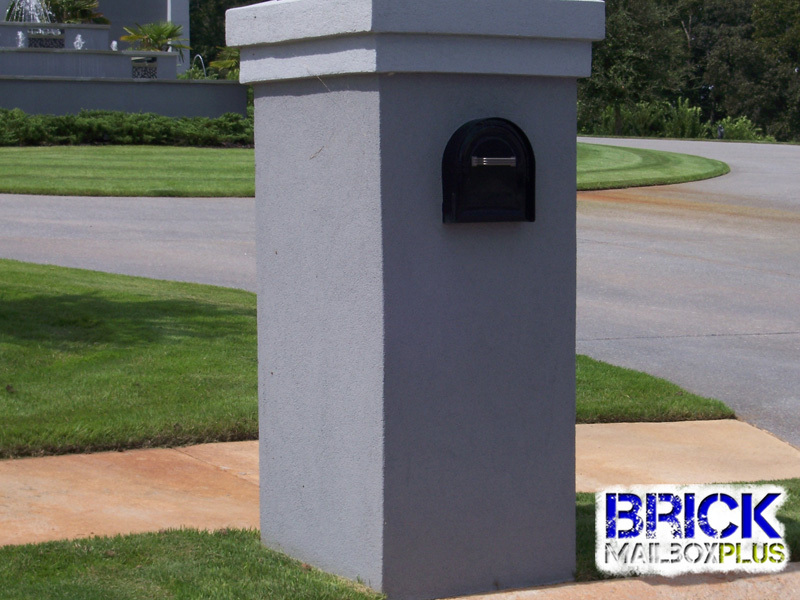 Stucco Mailboxes come in all sizes, styles, colors and price ranges. Please email us a sketch or photo of what you desire and we will build it. Accent your home with timeless columns. Columns add a hint of elegance bordering your estate which will only grow in value as time passes. 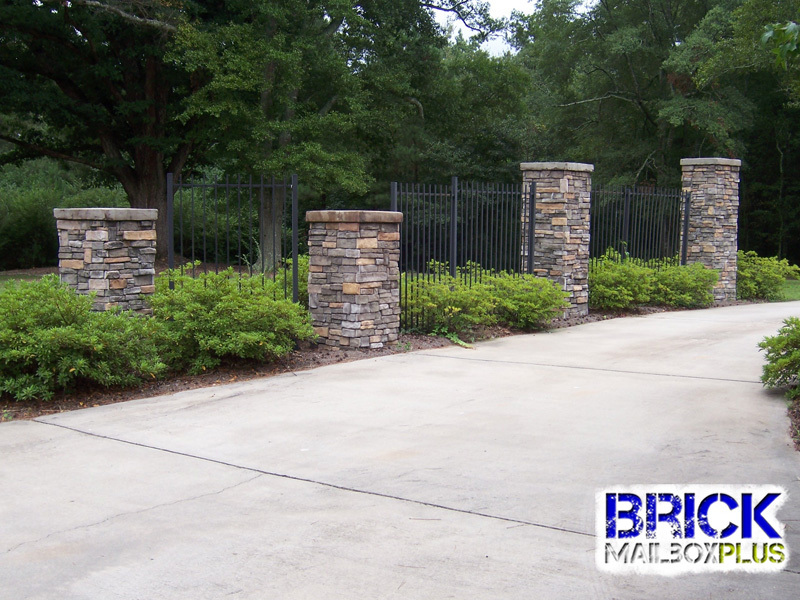 Brick or stone columns enriches all areas.